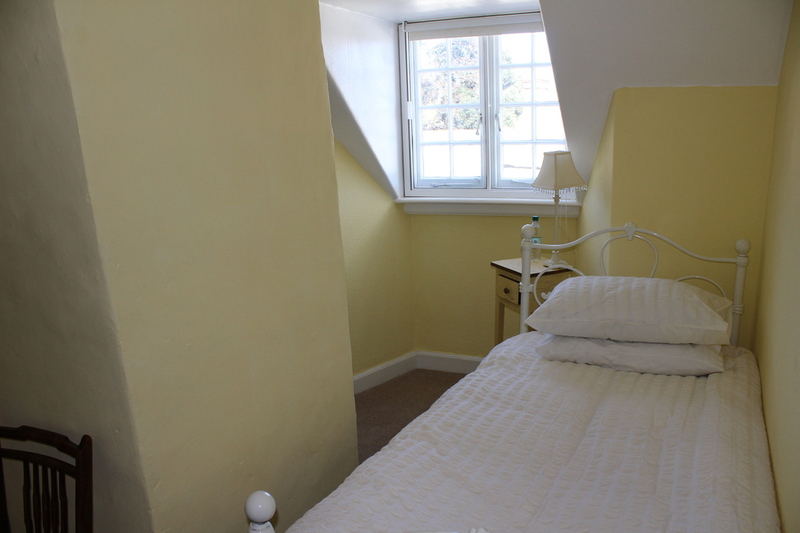 Our Family EnSuite is located on the 2nd floor of our 16th Century Grade 2 Listed building. 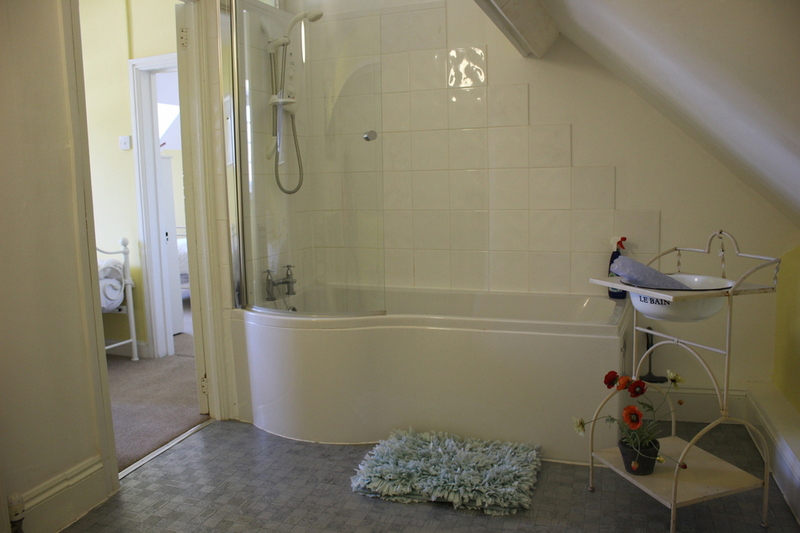 It comprises two connected rooms and an EnSuite bathroom. 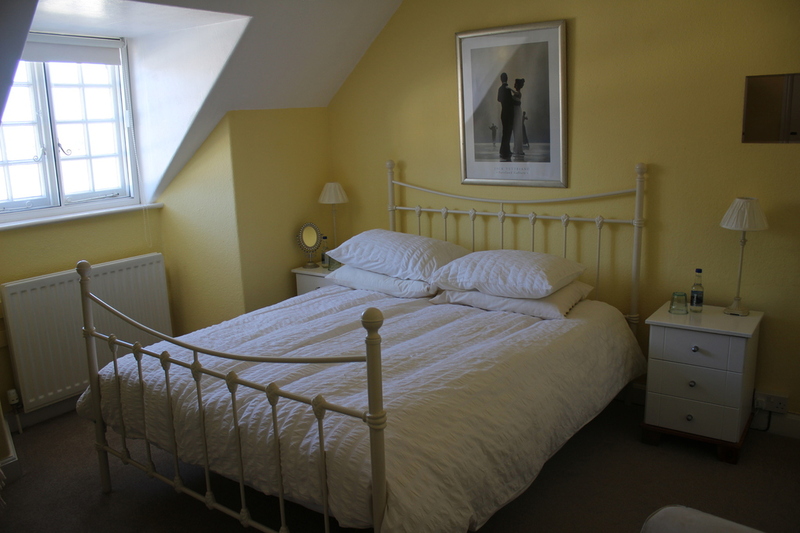 The first room has a Kingsize bed, and the second, two single beds. 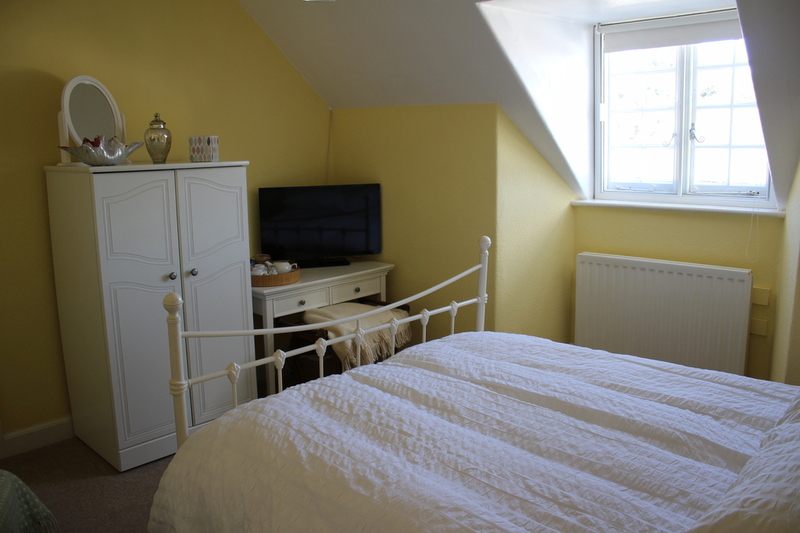 Facilities include a TV, beverage tray and hairdryer with views out to the Blue Anchor Bay and the Bristol Channel. English breakfast included. 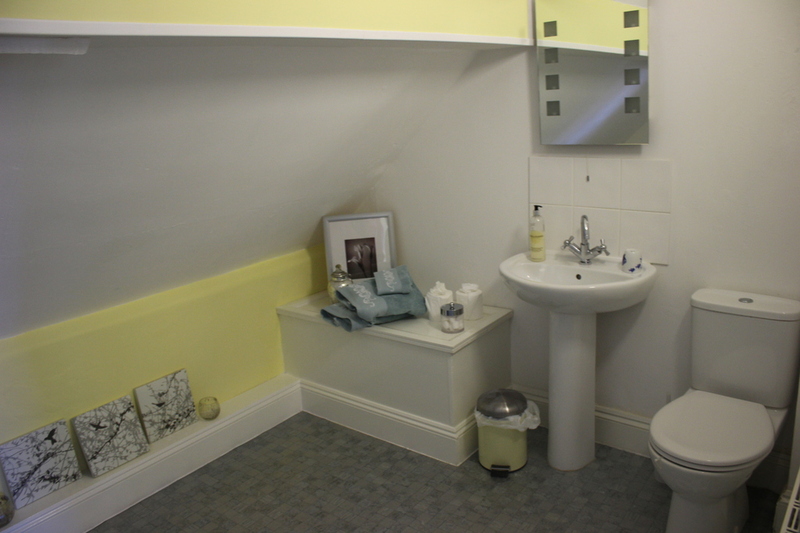 The EnSuite bathroom has toilet, sink, shower and bath. Your all inclusive English breakfast is served between 0800 and 0930 in our Tea Shop, accessible from the High Street. We offer a wide selection of teas, freshly ground Fair Trade organic coffee, cereals and toast. Gluten or Wheat Free, and Vegetarian options are available. We very much regret that we are unable to accomodate those clients who have difficulty climbing steps or who require wheelchair access within the building. This is due to the layout of our 16th century Grade 2 Listed building. To explain this, access to our Family room involves climbing 11 steep steps from ground level in our rear courtyard. This takes you up to a first floor balcony that gives access to the building itself. There is then a step down to the first floor entrance hall, and then another 13 steps up to the second floor landing and into your room.